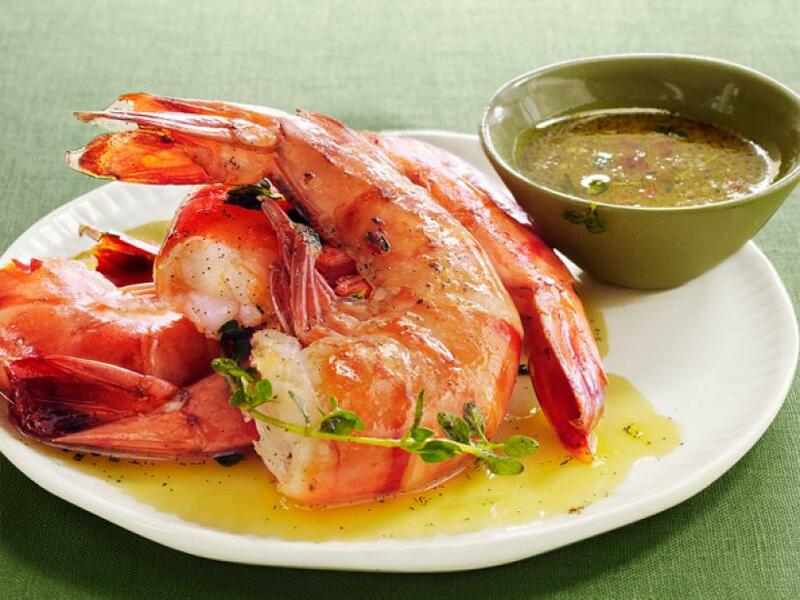 Prepare the shrimp: Combine 1 1/2 cups orange wine with the olive oil, thyme, red pepper flakes, a generous pinch of salt and 1/2 cup water in a large skillet. Bring to a simmer over medium-low heat, then add the shrimp, cover and poach 2 to 3 minutes. Turn the shrimp, cover and cook until pink, 2 to 3 more minutes. Transfer the shrimp to a serving dish. Boil the poaching liquid for 10 minutes, drizzle some over the shrimp and serve the rest on the side.